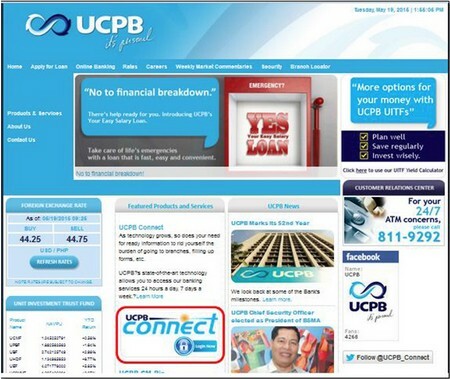 Log-in to www.ucpb.com and select UCPB Connect Icon. Click the UCPB Connect Icon and page will be redirected to the Customer Service Advisory page. Click the UCPB Connect Icon again. Key in your UCPB Connect Username and Password to log-in. Keep your registered mobile phone or email handy, to receive a transaction password to complete your transaction. 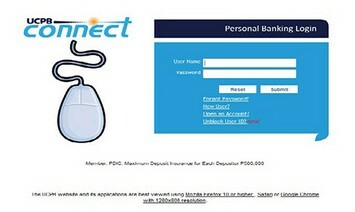 NOTE: For added security, the TRANSACTION PASSWORD is a dual-authentication security feature that ensures that the accountholder is the one initiating the UCPB Connect transaction. Make sure you update the Mobile Phone Number and Email Address registered in your UCPB Connect profile so we can send you your transaction password correctly. For BILLS PAYMENT, please enroll the biller to proceed. Once you receive the transaction password from your registered mobile phone number or registered email, Click PAY BILLS from the left panel of the page. You will now be notified via SMS/Email that the transaction is successful.